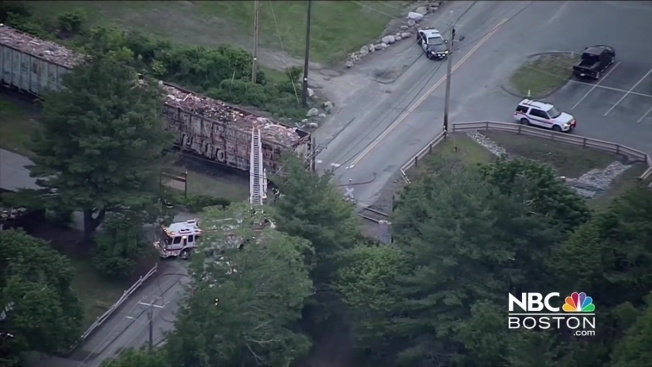 Firefighters extinguished a fire that broke out on a freight train while it was going through Foxboro, Massachusetts Friday morning. The fire occured near Elm Street. The tracks where the fire occured are not on a commuter rail line.